CHARLES BOWERS v. ASTRAZENECA PHARMACEUTICALS LP, ET AL. A medicine should not cause more harm than it alleviates. Too often, though, drug manufacturers push the Food and Drug Administration (FDA) for approval without fully investigating the long-term effects or possible complications that could arise from their products. Recently, studies have suggested a potential for acute interstitial nephritis, chronic kidney disease, and renal or kidney failure and other serious side effects caused by a class of drugs known as proton pump inhibitors, which include a drug called Prilosec. This drug is made by global pharmaceutical giant AstraZeneca and marketed in the United States by Procter & Gamble. The Prilosec lawyers at Moll Law Group vigorously represent consumers in product liability lawsuits. If you have been hurt by a dangerous drug, a pharmaceutical attorney can help you try to hold its manufacturer accountable for the harm that you have suffered. The chemical name for Prilosec is omeprazole. It is commonly used to treat duodenal and gastric ulcers, gastroesophageal reflux disease (GERD), erosive esophagitis, and certain pathologic hypersecretory conditions. 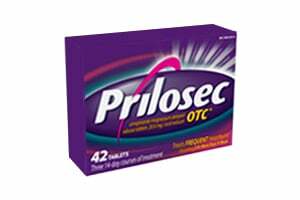 Users of Prilosec may experience adverse reactions, including headache, vomiting, abdominal pain, diarrhea, flatulence, and nausea. Pediatric studies indicate that users of Prilosec under the age of 16 may also experience respiratory system events and fever. In addition to the relatively minor side effects listed above, however, studies have indicated that there may be an increased risk of acute interstitial nephritis, chronic kidney disease, and renal or kidney failure in people who take Prilosec. These injuries might result in substantial medical expenses, lost time from work, and considerable pain and suffering for consumers affected. The risk of acute interstitial nephritis, chronic kidney disease, and renal or kidney failure has been observed to be highest in people who receive high doses of Prilosec or use the PPIs as a long-term therapy. There have already been a number of product liability lawsuits filed against the makers of Prilosec, alleging that this seemingly harmless heartburn and acid reflux drug can have many severe and long-term consequences for consumers. Claims by Prilosec attorneys may be based on theories of negligence or breach of warranty, as well as strict liability. Strict liability lawsuits allege that a product was defective and that the consumer was injured by the product. Liability can arise even if the manufacturer or seller acted in a reasonably prudent manner. Strict liability claims are divided into manufacturing, design, or marketing defects. Manufacturing defects arise when there is a flaw in the construction or production of a product. Typically, only a small percentage of these products is affected by a manufacturing defect. This theory is generally less applicable to dangerous drug cases than the other types of defects because it is usually the drug in general rather than a single batch of the drug that is defective. By contrast, a design defect claim is based on the assertion that there is an inherent problem with the way that the drug or other product was intended to be made. Finally, a claim based on a marketing defect may be appropriate when the manufacturer of a product provides inadequate instructions regarding its proper use or fails to warn consumers of its latent dangers. This is often a theory alleged in pharmaceutical cases, especially in situations when unexpected side effects arise like the injuries linked to Prilosec. If you or a loved one has been diagnosed with acute interstitial nephritis, chronic kidney disease, or renal or kidney following the use of Prilosec or another proton pump inhibitor anywhere in the U.S., the experienced proton pump inhibitor lawyers at Moll Law Group are available to help. We have represented many clients nationwide, including in New York, California, Illinois, Michigan, Florida, and Texas. Billions of dollars have been recovered in cases in which we have been involved. For a free consultation with a Prilosec attorney, call us today at (312) 462-1700 or contact us online.